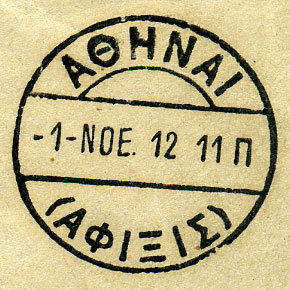 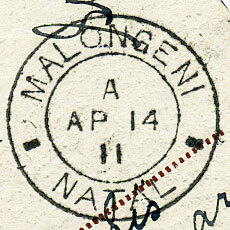 (M.3) dated A/AP 14 11 as arrival on col. ppc of "Nottinghan Castle". 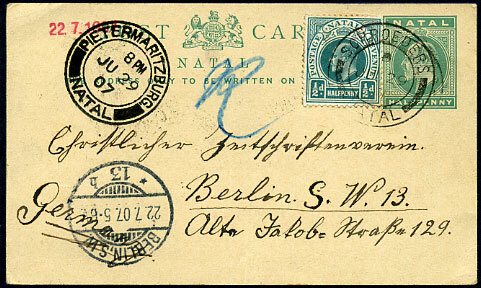 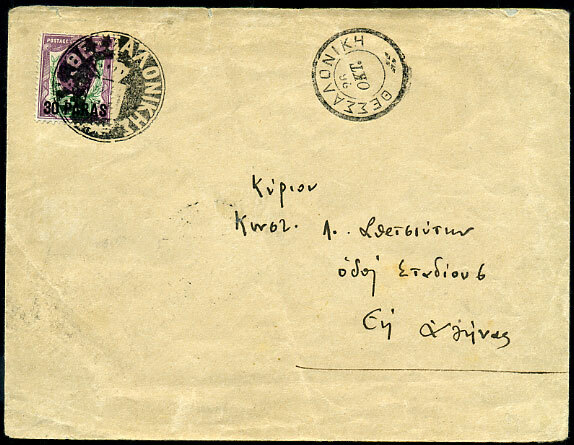 (M.3.4) dated D/JU 29 07 on uprated full text KE7 ½d Post Card to Berlin. 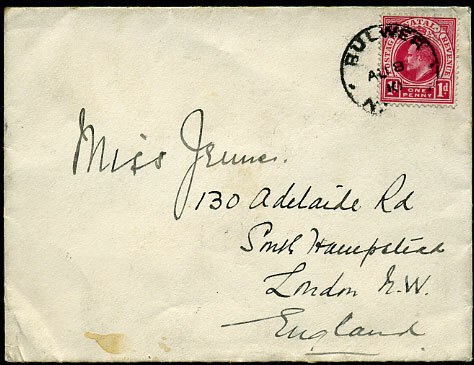 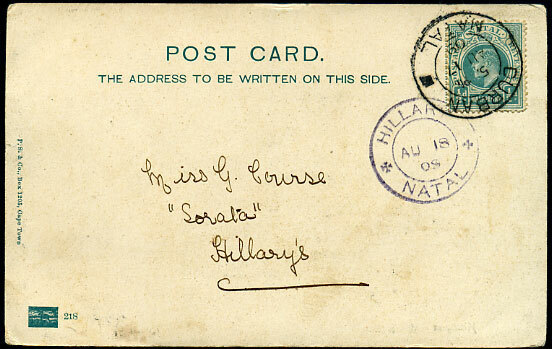 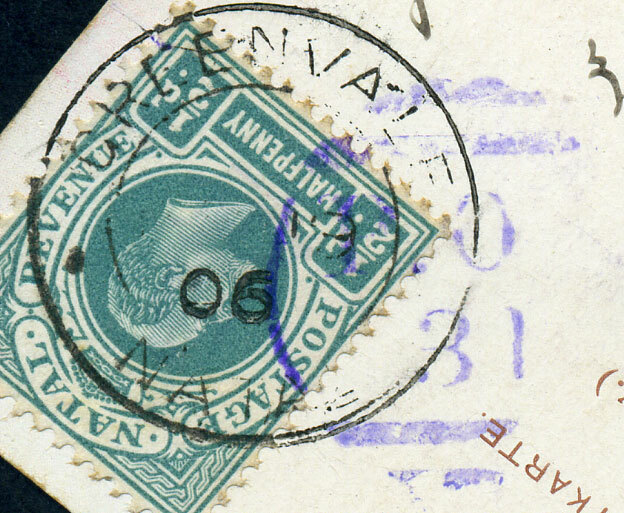 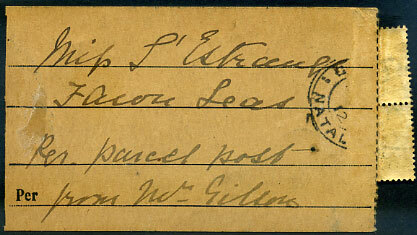 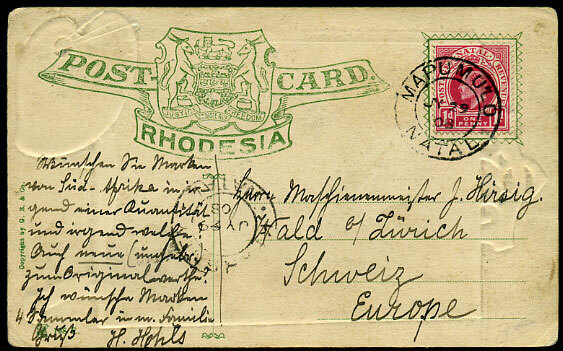 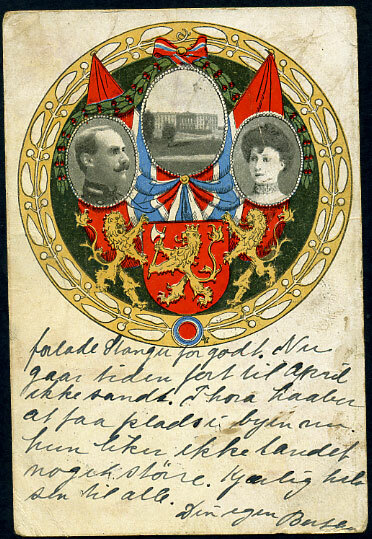 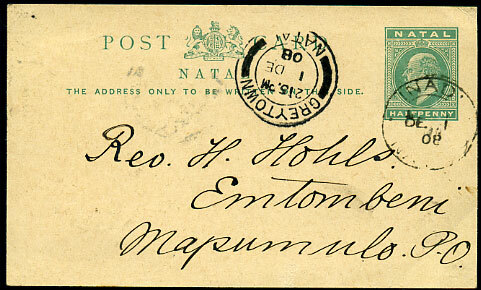 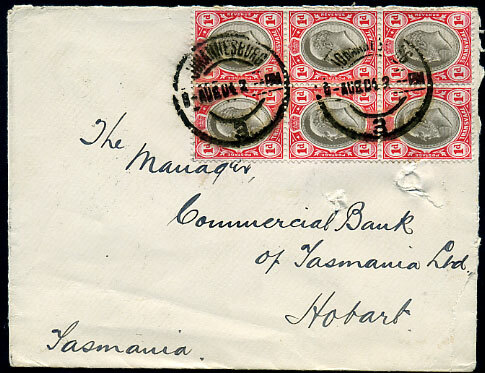 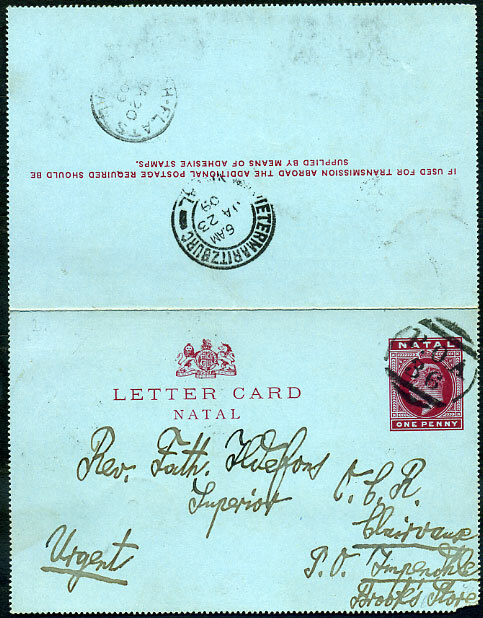 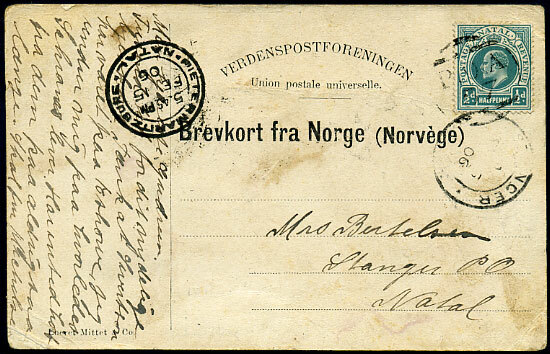 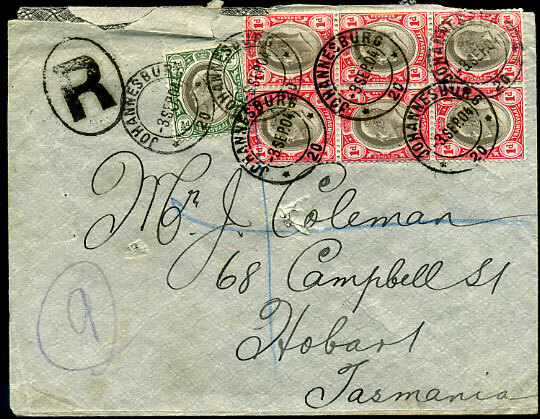 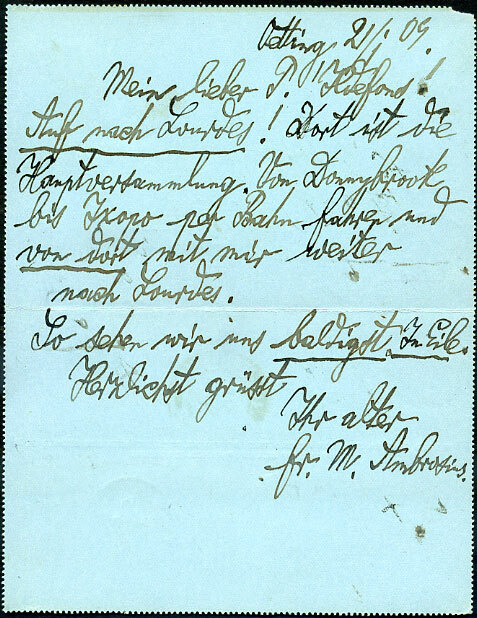 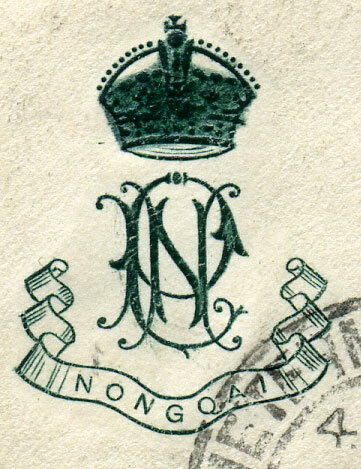 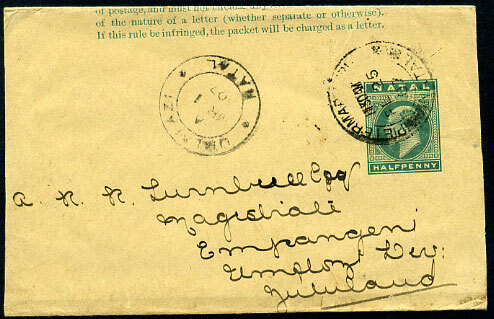 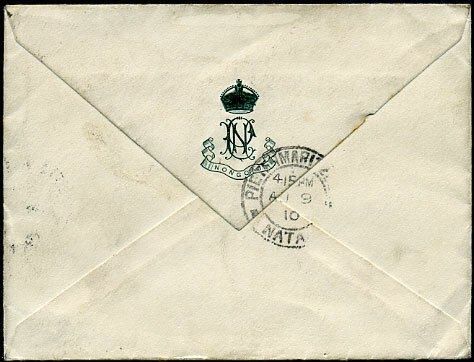 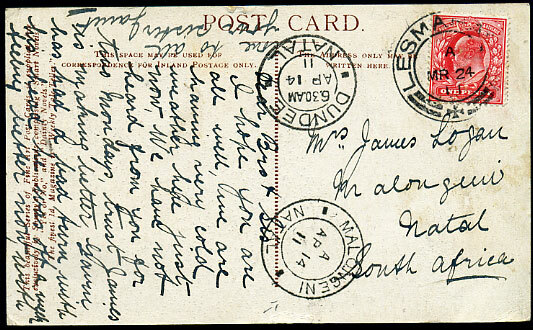 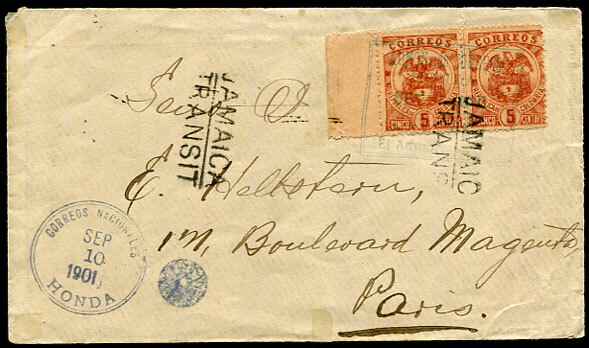 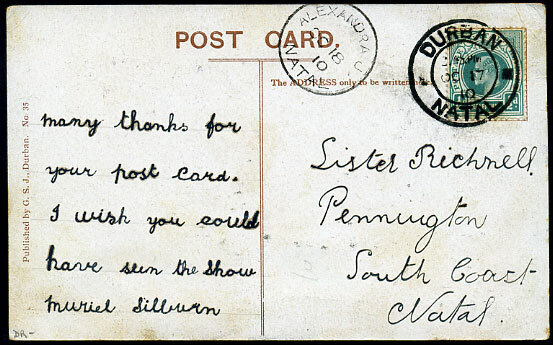 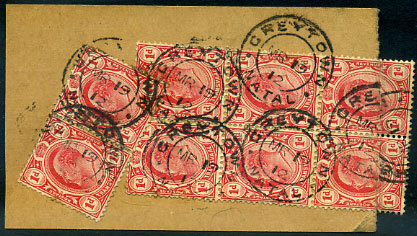 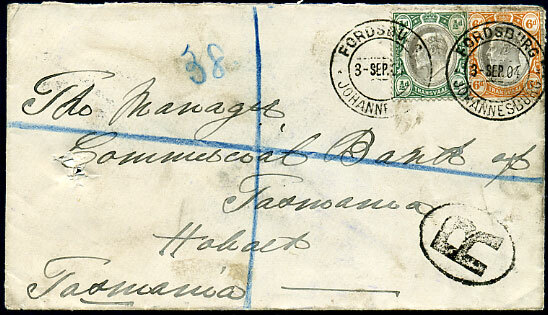 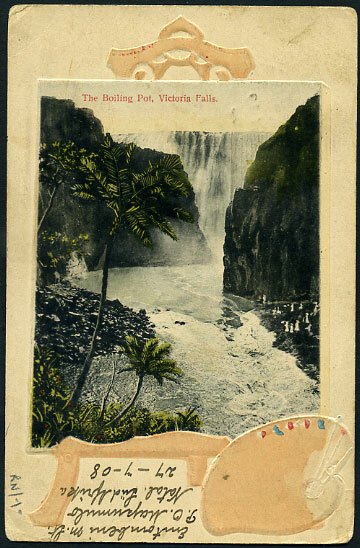 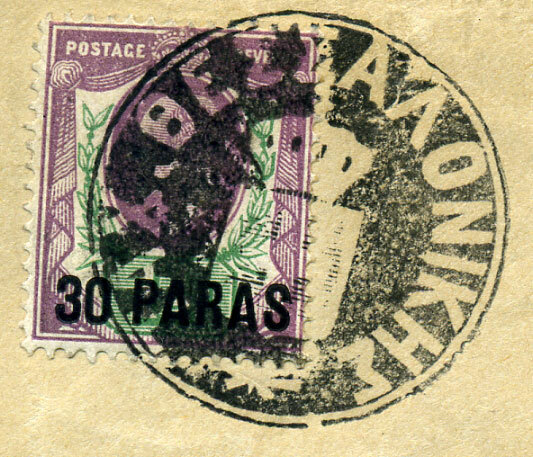 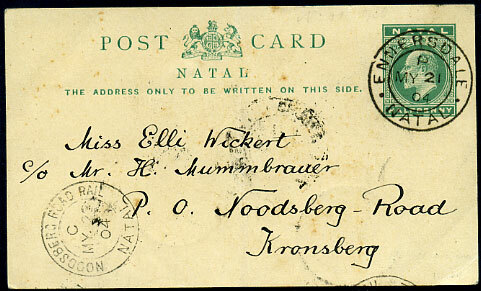 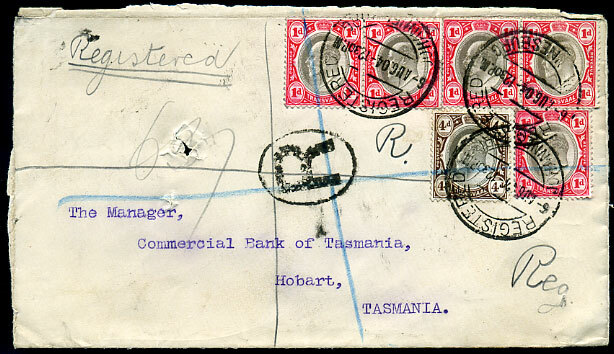 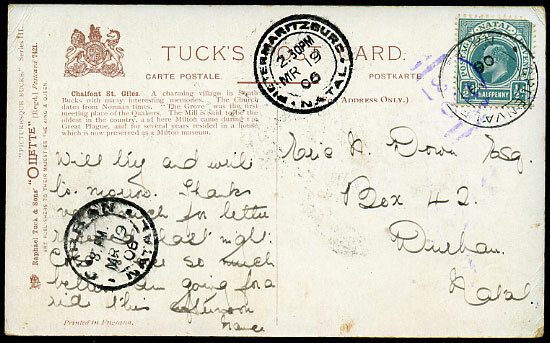 (M.2) dated DE 1 08 on full text KE7 ½d Post Card to Mapumulo P.O. 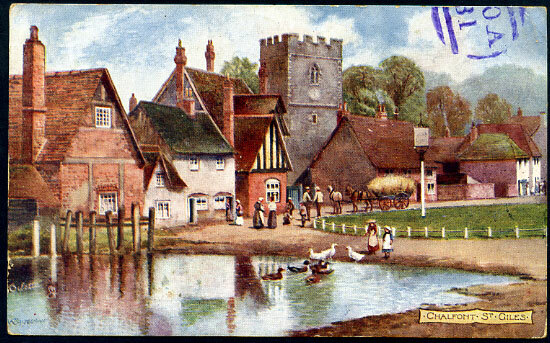 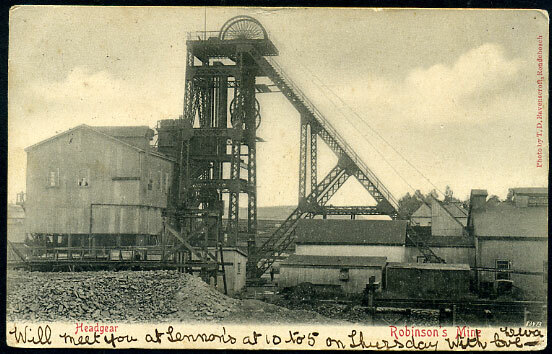 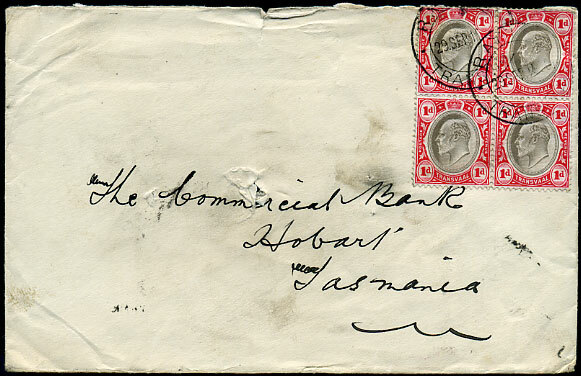 (M.4.1 with Hillarys "S" excised) arrival in purplish ink dated AU 18 09 on b/w ppc of "Robinson's Mine" mailed with KE7 ½d at Durban.